I haven’t written about cars much recently. I will get back to it, I have actually bought a new car and as soon as I can get some clean photos I will write about it, but today I need to write another personal post. Today my dog died. Today the last of my pets gave up her fight against cancer. She first came into my life in 2001. 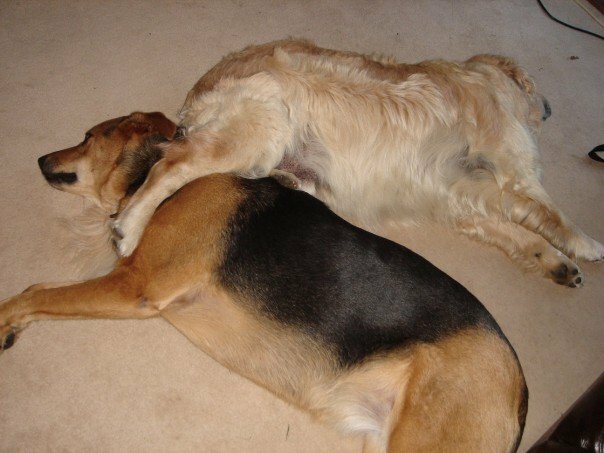 I was living in New Jersey and decided that Barney, my Golden Retriever, needed some company during the day. Dogs are pack animals and he needed a pack for the long days. He had a feline sister, Mollie, but they had never really been close and he needed a new friend. I immediately started looking at dog rescue places online and visited a few but nothing suitable turned up until I found a small adoption centre in the middle of nowhere. They had a whole litter of puppies that were German Shepherd crosses. 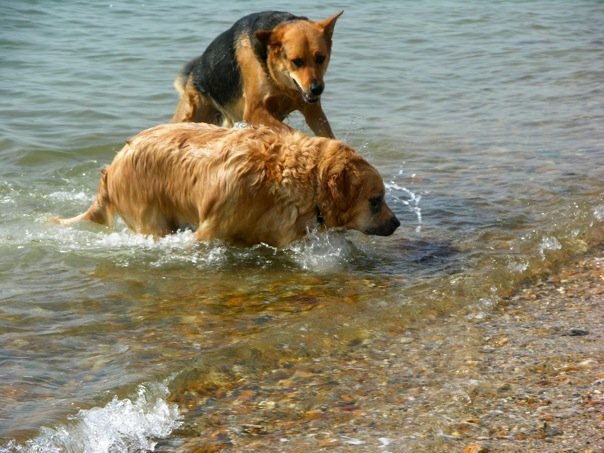 Now if I’m honest, before Barney, my dream had always been to get a German Shepherd, this was perfect so I called. They only had two of the puppies left and they were now five months old, but that was fine. Still young enough to train but old enough to be past chewing. Kelly had gone so it was just Kirby left. A strange looking girl, but playful and friendly and with big paws (and boy did she grow into them, or actually beyond that!) so she came home. Kirby’s introduction to the real world was interesting to say the least. The whole litter had been at together at the pound since they were born. 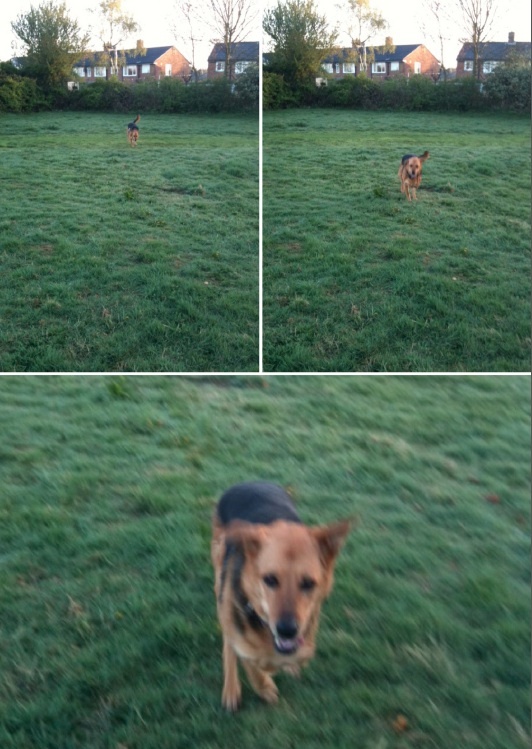 For five months she spent her days running around a large field with a large pack, occasionally chasing passing cars but not often seeing people. Her first night with me she was introduced to surround sound in a big way (the storm at the beginning of Castaway). In hindsight it was a little unfair, but she coped after a few minutes. During early walks she would dance around puddles like a lady in nice new shoes (this would change) and try to chase every squirrel and every cat she saw. Thanks to Barney she soon learned to swim, admittedly like she was trying to walk on the water at first, but eventually she got it. 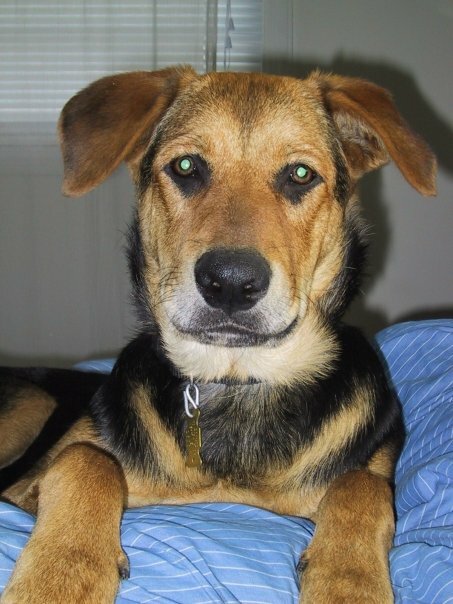 A visit to the vet revealed that her parents, who he had known, were in fact German Shepherd and Rottweiler. My Ex freaked out. She had grown to love Barney and had just about accepted a GSD, but a Rottweiler! That was too much. She had to go back!! Well, I’m glad to say, she came around and grew to love little Kirby. Everybody who met Kirby loved her. She was so laid back and well behaved. So loving and eager to please. Her best friend was Mollie the cat. 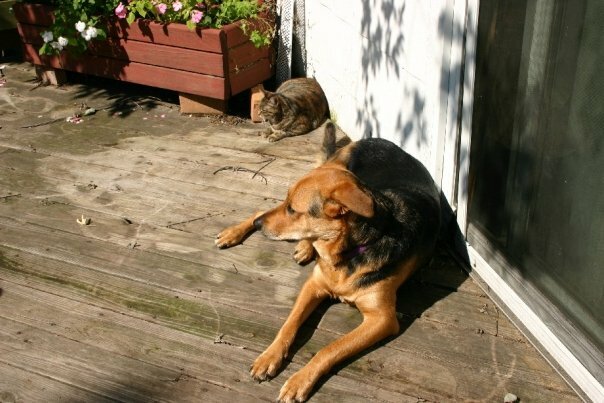 An unlikely pair maybe, but they remained friends until Mollie passed away this year. You can see in this picture that she definitely grew past her paw size. Kirby was a huge dog (almost a giraffe to some people) but she had tiny feet, dainty little legs. When she was diagnosed with cancer and the only kind option was to remove her front leg, I worried that she might struggle on her remaining three little legs, but she carried on in her positive style. A year later she had another cancerous growth, but after some small surgery that was gone. And she was back to herself. My crazy travel schedule and then my move to California meant that for the last four years she has been living with my Ex. I managed to visit at least once per year (not enough!) and last time I saw her was Xmas 2011 and she was still charging about, still a lovely friendly dog. She spent most of the walk waiting for The Wife to catchup, checking she was okay and still with us. At the time I wrote that she was my inspiration. Cancer twice, only three legs and still wagging her tail and still running about. 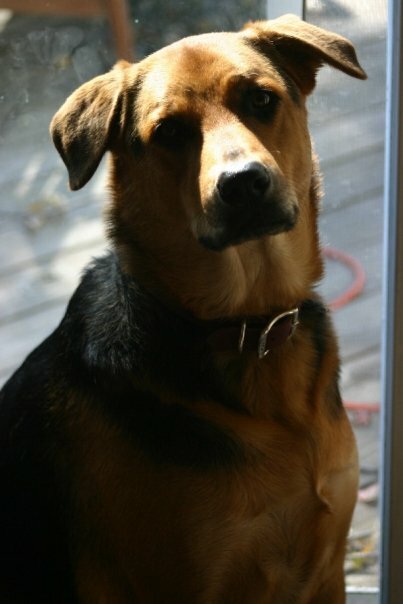 So goodbye my beautiful Jersey Girl. You will be missed. Everybody that came in to contact with you loved you. You were the last of my pets to still be alive and I’m sorry I didn’t get to say goodbye properly, but know I loved you. Take care of Mollie, Jessie and Barney for me.